Fees for “Category A” seats: Rs.31,000/- per annum from the academic year 2010-11. Fees for “Category B” seats: Rs.95,000/- per annum from the academic year 2010-11. 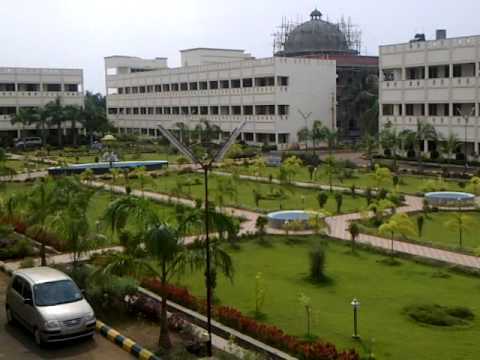 Campus: Vasavi College of Engineering, in its 30 years of existence, is a well reputed institution in the State of Andhra Pradesh. The college in its pursuit for quality in technical education has earned 3rd ranking in the State and 32nd in the country (source: Hindustan Times on 24th June 2009). The college is offering six UG (Civil, Mechanical, ECE, CSE, EEE and IT) with total sanctioned intake of 540 and 5 PG programmes [ME (ES & VLSI); ME (ADM)] and MCA with total sanctioned intake of 132]. The College is most preferred by the CET qualified high ranking students and is ranked 8th in Andhra Pradesh. The College follows the University norms and has required number of faculty both ratio and cadre wise.. It has 34 highly faculty members with Ph.D. Located in the sylvan suburbs of Ibrahimbagh in Hyderabad, Vasavi College of Engineering presents a picturesque view flanked by the glorious Golconda Fort. Situated over a sprawling 13.6 acre campus with lush lawns, lovely landscape, aesthetic architecture and avant-garde infrastructure, the College epitomizes an exemplary setting for higher learning. Central library: The central library has a floor area of 635 Sq.Mtr. It has 10,567 titles and 76,598 volumes. The college is subscribing to 107 National and 24 International journals. Online subscription of IEEE, ASME, ASCE and International journals through AICTE INDEST. The college is a member of SONET, an A.P. Government sponsored “Society for Networking for Excellence in Technical Education”. In an attempt to overcome the serious shortage of well-qualified and experienced teachers in certain engineering disciplines, the Government of Andhra Pradesh has set up this society. Under the aegis of this society, it is proposed to telecast, in the ku band, lectures delivered by eminent teachers on certain subjects, for the benefit of students of all the member colleges. Hostel:The Hoscar (Hostelworld.com Customers Annual Ratings) Awards now in their 9th year, are the world’s most prestigious hostel awards, recognising top hostels around the globe. Hosted by one of the UK & Ireland’s most popular TV presenter’s Craig Doyle, the 2011 Hoscars took place in London on 4th February and was the biggest awards ceremony to date, attended by 500 guests. More than 25,000 properties in over 6,000 destinations featured on Hostelworld.com were eligible for the awards. The winners this year were voted for by a phenomenal 1 million customers worldwide, who booked their accommodation online with Hostelworld.com in 2010 and rated and reviewed their stay on six criteria – character, security, location, staff, fun and cleanliness.Awards were presented to the best hostels in the world in addition to some new categories including Top 10 Small and Large Hostels, New to Hostelworld.com, Best Microsite, Special Contribution and Lifetime Achievement.